In light of the full blown famine raging on all over Eritrea right now, it would be sobering to note that most of the mass killings that took place in totalitarian nations – Mao Tse-Tung’s China, Kim Jong Il’s North Korea and Pol Pot’s Cambodia – didn’t take place in executions but in large scale famines caused by misguided agrarian and food policies, invariably undertaken under that self-serving objective of “self-reliance”, and always exacerbated by the reluctance to admit failure and ask for help when things had clearly gone out of hand – all ominously symptomatic of the Isaias regime. Be it in China’s Great Leap Forward, in North Korea’s Great Famine of the 90’s or in Khmer Rouge’s agrarian revolution, these kinds of experimentation invariably ended up in millions starved to death. 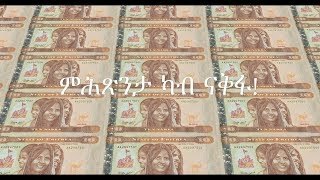 And, now, it seems Eritrea’s turn has arrived; the Isaias regime’s ill-conceived land expropriation, market monopolization, indefinite national service and food aid (NGOs) policies, all said and done under that grandiose mantra of “self-reliance” (or its mieda variation, “bitsifrina”), are taking the nation in a downward spiral towards that inevitable disastrous end. Unless a massive infusion of food aid is allowed to get into the land soon, this tragedy will surely end up in mass body counts. Following this venerable tradition of blunder, denial and hubris – all of gargantuan proportions – our tyrant too is unwilling to admit the presence of famine in Eritrea, let alone the spectacular failure of his self-reliance policy that has ushered the famine with a foreboding certainty. Once one admits the reality of the famine in the land, it is easy to see where immediate relief would be made to come from: importing food supply from outside markets, using whatever hard currency the nation has (even using loans), and asking for food aid from foreign donors, with the return of NGOs to facilitate it. The first means diverting scarce resources from Isaias’ priorities, such as shopping for all kinds of military gadgets, financiering all kinds of militant groups in the region and experimenting with all kinds of wasteful white elephant projects. And since tampering with the tyrant’s pet projects is a no-no, it is obvious where most of the hard currency milked from the Diaspora community would end up. And the second requires swallowing one’s pride, which doesn’t come easy either to Isaias or to the equally stubborn organization that he has been leading for four decades. Every conceivable means should be deployed to assure that the Isaias regime weathers out this food crisis with its political survival intact. In particular, the food redistribution system will have to be conducted with that goal in mind. Whatever steps taken to address this famine must be done without compromising Isaias’ pride; that is, without sullying the image of his infallibility. No steps that would imply, even implicitly or remotely, the failure of his self-reliance policy should ever be entertained. The first goal is premised on two facts that have to be taken as “given”: the meager food supply available now, that will soon be depleted long before the next harvest arrives, and Isaias’ imperial pride, that is dead set to out-survive this food crisis without giving in an inch. Given these two “unalterable facts”, the critical question that Isaias is asking himself is clear: how do I manage the limited amount of food supply available in the land in a way that assures my political survival? Every draconian measure taken since the advent of this crisis, from the stringent market rules, criminalization of private food transactions and confiscation of peasants’ food “surplus” to the increase in curtailments of movement and the spate of killings at border crossings could be explained as various coercive ways of responding to this question, as only a government without any legal or moral constraints would ever do. It is with this question in mind that Isaias has been meticulously and ruthlessly drying up all the food market in villages, towns and cities across Eritrea. The idea is as simple as it is diabolic: if most of the food supply available in the land could be made to pass through government-owned apparatus (such as diquan rit’i, the coupon/ration-system, the military, “cash for work”, Highdef-owned companies, etc), then, in the process of redistributing it, he would make sure that it would be made to primarily serve his political survival. In undertaking this task, not only would the PFDJ be able to decide whom to reward and whom to punish, but also who is to survive the crisis. The rest of this article will elaborate on the following logically sequenced subjects: first, on the early signs of the famine appearing all over Eritrea; second, on the denial of the government that it has a crisis in its hand; third, on the blunder of the “self-reliance” policy that has ushered this famine; and, fourth, on Isaias’ gargantuan pride that is literally blocking food aid from coming in to the country. How real is the famine? If you visit any of the Shaebia-oriented websites – Shabait, Shaebia, Alenalki, Biddho, Dehai, etc – you wouldn’t see a single sentence uttered on the famine in Eritrea; all of them have a greater concern to attend to: the plight of the Somali people! You need only visit Deahai, or for that matter Meskerem, and count the number of threads they have on Somalia to see the detached, surreal world they inhabit. But had the government admitted the existence of the famine, by now you would have seen crocodile tears flowing all over these websites, invariably followed up with emphatic calls for me’ketes to feed the hungry splashed in their front pages. For these Highdefite foot soldiers, reality is not what takes place on the ground or even what many of them see with their own eyes when they visit the homeland, but rather what Isaias says about it. Richard Pryor’s memorable line “Who are you going to believe? Me or your lying eyes?” aptly describes the frame of mind of the Highdefites who trust Isaias/Shaebia more than their eyes. [I actually know of such a hardy fellow who recently came from Asmara with his spirits totally beaten down from all the misery he saw there, only to bounce back and be uplifted to soaring heights as soon as he began to consume his daily dosage of EriTv back here in the US! 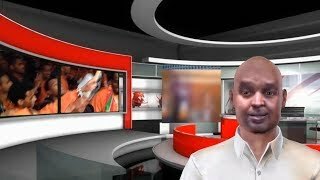 Reality to this indefatigable “patriot” is not what he actually saw through his eyes, but what EriTv made out of that reality.] But for those who have independent eyes to see and independent ears to listen, there is not the slightest bit of doubt about the stark reality of mass starvation in Eritrea. People from all over Eritrea would tell you that since the famine of the 80’s they have seen nothing like it. This year, the nation has produced only about 20 percent of what it normally needs to get by. This, by itself, wouldn’t have been enough to cause a famine. Eritrea has never been self-sufficient in its food supply; it has always supplemented it from outside – be it in the form of import from neighboring countries or food aid from international donors, both of which have now turned into a trickle. What is new under the rule of Shaebia is that traditional survival strategies that people resorted to make it through such hard times are no more available to them: no more seasonal manual jobs where they can supplement their income, no more accessible richer areas where they can go for sidet, no more free flow of food products at markets where they can buy food at fair prices, no more food aid from foreign donors to help them survive till the next harvest, etc. The only ameliorating factor is the flow of remittances from outside, but since the fortunate families that receive remittances are competing with the rest of the country for the same amount of limited food supply, their incomes’ net effect on the famine is very limited. In fact, if one takes into consideration that it is this competition that has become the main cause for the run away inflation, thereby exacerbating the plight of the poor, one cannot tell whether the remittance factor is a blessing or curse anymore. Already, there are early signs that the famine is hitting hard: (a) There is mass migration of peasants from all over Eritrea moving to two relatively better areas in search of food for themselves and grazing land for their animals: the areas around Adi-Quala-Medefera (in Seraye) and Tek’ombia-Barentu (in Gash). [“Eritrea – a Country in Overall Crisis” by Mussie Hadgu] These two areas are too small to accommodate the huge influx of internal refugees, and sooner or later something has to give way – most probably in body counts. (b) Markets have been systematically emptied of their grain supply through coercive government policies, thus blocking the free flow of staple grains; and, as a result, whatever food products found in the black market are fetching astronomical prices. (c) Lately, there has been a steep decline in the value of Nakfa when measured against hard currencies. The limited food supply is one of the main reasons behind this hyperinflation. There are reports of people bidding against one another to get their hands on the meager food supply available in the black market. (d) Compared to the skyrocketing prices of grains, the prices that animals are fetching are falling down. That shows the coping mechanism of the peasants has reached a critical point: they are selling their animals either because there is not enough grazing land or because they need the money to buy grain, or both. This is exacerbated by the fact that the peasants, unlike those who live in Asmara, have no access to alternative market sources such diquan rit’i or the coupon-system and hence are forced to buy food at higher prices in the black market. (e) Even the Orwellian named diquan rit’i, monopolized as it is by the government, nowadays carries less and less food products, with nothing but mostly dreary empty shelves to brag about. (f) With the arrival of the famine, the flow of refugees to neighboring countries has picked up pace. During the month of February alone more than 3,000 were registered in Sudanese refugee camps; this number doesn’t include those who simply bypassed the camps to make their way to central Sudan. 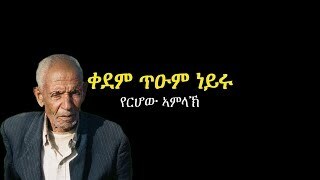 (g) As Mussie Hadgu reminds us in his excellent series on the state of Eritrea, beggars have flooded villages, towns and cities across Eritrea; petty trade has ballooned, with women and children making the bulk of these “traders”; child labor has become common; and prostitution has become rampant. One particular medieval scene he evokes is where waves of beggars move from one village to another, as they make their way from Kebessa all the way to Barka on foot. (h) Perhaps the most pervasive indicator of famine in Eritrea is the daily hardship people from all walks of life face in making ends meet to feed their families (think of riga bani). Even without this famine, Eritrea has been identified as one of the most malnourished nations on earth. Now, with an all out famine affecting large populations, I don’t think it will be long before we began to see grim skeletal pictures, especially those of emaciated mothers with no milk in their withering breasts and pot-bellied children with ostrich-thin necks and orange hair that have become signatures of famines across Africa. Another sure sign that hard times are here to stay in Eritrea is that the government is taking draconian measures to get its hands on the limited food supply in the land, without ever admitting that it has gotten a crisis in its hands: forcing peasants to sell their “surplus” food products to the government at very low prices; looting villagers’ k’offos to feed its half-starved army, many times at gun point; confiscating food products intended to reach urban areas; criminalizing the selling of most of staple grains in markets; limiting the amount of food supply that peasants could have for their consumption; decreasing the already meager amount of rations provided by the government to the residents of Asmara; and drastically cutting the food amount it provides to the military and prison populations. The president has even come up with his own insensitive way of advising the “pampered” population in dealing with this problem: cut your calories intake to a healthy level! Only Marie Antoinette has displayed this level of stupidity, detachment and callousness. And when it comes to cruelty, she is no match to this grand sadist. Probably the best indicator that a great famine has arrived in Eritrea is the amount of food that the authorities think is “healthy intake” and hence allowable in these hard times. When we saw Eritrean refugees living in Tigray complaining that they get only 15 kilos of food supply per month (180 kilos per year), we sympathized with their plight and felt that they should have gotten more. Hardly did we know! Now, Shaebia is asking the Eritrean peasants to keep only 90 kilos per year – half of what the refugees in Tigray get – and to hand over the rest of their food supply to the government. Even the residents of Asmara, who are getting a ration of only 10 kilos of meshella per month, are receiving less than the ration the refugees in Tigray get. Even though better than the peasants, if they cannot supplement it from the black market, they too would be living at the edge of starvation – as many of them undoubtedly do by now. To understand the severity of this famine, all we have to do is note that all of the above mentioned indicators are taking place just a few months after the harvest season. Since there is still a long way to go till the next harvest (at minimum, eight more months), unless a massive influsion of food aid from abroad takes place, nothing short of a horrendous tragedy is waiting to happen. The government is not only denying the presence of any trace of famine in the land, it is also going out of its way to convey to the world the image of a self-reliant and prosperous Eritrea. All that we have to do is compare the sumptuous images of green and abundant Eritrea portrayed in EriTv with the abject and grinding poverty on the ground to gauge the extent of this denial. During the mid-90’s, when crops failed in North Korea, a famine is believed to have killed two to three million people. Yet, from the sanitized pictures the regime used to send to the rest of the world, nothing of the like seemed to be taking place. As usual, annual parades were the biggest and grandest in the world, where millions participated in meticulously choreographed spectacular shows. And if one looked at the regime’s television or magazines, it was one miraculous harvest after another – all thanks to the wisdom and farsightedness of the Dear and Beloved Leader Kim Jong Il. And – you guessed it – “self-reliance” was the incessant slogan of the nation. Behind this sanitary image of lash countryside, equitable prosperity and blissful happiness that the regime carefully groomed, people were literally dropping dead like flies in the streets from starvation. The sight of death was so common that people simply walked by as emaciated fellow citizens collapsed on the pavements and threshed around before they took their last gasps. The same is true of Eritrea. Behind the facade of crime-less living, equitable prosperity, Warsai-Yikealo industriousness, the capital city’s beauty and cleanliness and unparalleled patriotism that the regime wants to display, and that EriTv extravagantly showcases, a human tragedy of epic proportion is in the making: cities, towns and villages totally emptied of their most productive members, with hundreds of thousands of them sequestered in the wilderness under that misleading name of “national service”; hundreds of prisons and concentration camps proliferating everywhere in the country, where tens of thousands of political and humanitarian prisoners are indoctrinated, worked to death, tortured and killed; hundreds of thousands of youth fleeing to neighboring countries, trying to escape forced conscription, endless service, slave labor and iron-clad totalitarian grip; and, now, a whole nation being famished at a scale and scope not seen for a long time, without any relief in sight. Sounds familiar? Our Dear and Beloved Leader Isaias Afewerki too has been getting all his advice from the same book of blunder, denial and hubris. According to this incompetent idiot, the famine that has currently taken the grip all over the land is not the result of his failed “self-reliance” policy and his prohibitively priced hubris, but a result of excessive eating by some subversive groups who are consuming more than their share. He even came up with the exact amount of calories intake that is healthy for an individual; anything above that would be considered “excessive” and, consequently, the meager rations handed out by the government would have to reflect that “healthy intake” prescribed by the president. He also fantastically proclaimed wheat and pasta to be dangerous commodities, and hence off limits to the masses. In one of his callous moments, he went so far as to describe the starving masses as “pampered”. And not to be outdone either by Mao Tse-Tung or by Kim Jong Il, he has been accusing peasants of hoarding their food supply. After criminalizing the selling of staple grains, he outrageously warned people from selling them in the form of bi’hu’q (dough). It is amazing to see that every time his policy fails, he has to find a scapegoat among the population; at no time in his long career as a leader of Shaebia or the nation has he ever taken responsibility for the failure of any one of his policies. After having demonized every population group in Eritrea, the farmers’ turn has arrived. Now, we have to add “excessive eating” to the long list of subversive acts that threaten the sovereignty of the nation that our Dear and Beloved Leader has to be burdened with. And, predictably, this has become an excuse to pillage villages and relieve them of their “excess” food supply. This sums up the mindset of the Isaias regime. Notice how the primary goal of food security is framed: not as ensuring that the masses remain well fed, not even as saving them from mass starvation, but as a means of defending the nation from outside interference. The plight of the starving masses doesn’t even make a blip throughout this editorial. Only in a paranoid state like Eritrea would food security be so directly tied to the nation’s territorial integrity or political independence, without making any reference to the welfare of the people, as if the latter is some trivial or secondary concern that needs not attract anyone’s attention. In fact, in the latest news on American-Eritrean soured relationship (“US threatens Eritrea over support for al-Qaeda-linked terrorists”), Isaias actually states that famine is of secondary concern: “Piracy, like famine and drought is a secondary issue.” Territorial integrity trumps any humanitarian cause, including famine! The threat to the nation that the Shabait editors have in mind is not the threat that comes from any gun-toting enemies (including Ethiopia), but from NGOs and other international donors. Their main fear is that as the NGOs and donors put conditions on the government to get its food aid, they would be infringing on Shaebia’s independence to do whatever it wants; so much so that it would be constrained in a way that would make it lose control over its population. Even though this claim is as farfetched as can be, it makes perfect sense to this paranoid organization. It is amazing how such a sick rationalization makes its way to their editorial print at this point in time. It only shows us that, in their obsession for total control, how tone deaf they have become to the plight of the starving masses. The Isaias regime knows perfectly well that it can get away with anything if it frames it under that sensitive “secured sovereignty, political independence and territorial integrity” mantra. Even the famine in Eritrea – without ever admitting its presence – has to be wrapped around with the Eritrean flag, literally and figuratively a megnez for the victims of this famine, perhaps an apt metaphor for the legacy of ghedli. Do not be surprised if, sometime in the future, the Highdefite foot soldiers declare the victims of this famine as martyrs for having died in dignity without forcing the nation to beg for food aid from the outside world (and, hence, without letting its “sovereignty be violated”) and without letting their leader get humiliated in the process of doing so! The Isaias regime has practically engineered this famine from its inception to its present day maturity. Midwived by its self-reliance policy, now it is nurtured by its food policy. One has first to look at the very implementation of the structural components that make up the “self-reliance” project to see how these fundamentals have literally ushered this famine. In the second part, one has to look at how, once the famine has arrived in its full force, the government’s quest for totalitarian control over its people has prevented any survival strategies from taking hold. The whole of Shaebia’s self-reliance policy has been crafted with one and only one goal in mind: total control over the population. The most disastrous effect of this policy has been in the nation’s food security as caused by: (a) The land policy: the regime has been grabbing prime farmlands at a dizzying rate, depriving peasants and pastoralists of their most productive farmlands; relegated to smaller and infertile plots, these past few years the peasants have been struggling to make ends meet. (b) The market policy: internal and external markets have been rendered inaccessible both to individuals (as sellers and consumers) and merchants; the normal flow of food as a commodity to be sold and bought freely has been virtually eliminated. (c) The national service policy: villages across Eritrea have been gutted out of their most productive labor force; those left behind, the old, women and children, are unable to properly tend the land or the livestock. (d) The aid policy: the regime has supplanted food aid with “cash for work”, a ploy created to siphon off hard currency slated for the needy to Shaebia’s coffers; as a result, this emaciated form of aid has been no match to the robust food aid the needy used to get from NGOs. Looked at case by case, the self-reliance policy is directed at control over land ownership, control over labor (as in national service), control over market forces and other forms of production and control over aid distribution. It is clear that in every case totalitarian control trumps food security. The problem with the self-reliance policy is that it has not only ushered the current famine, it is also preventing measures that could have softened the impact of the famine; it has drained all the coping mechanisms available in traditional Eritrea. Let me mention four such mechanisms now rendered impossible: (a) Access to richer areas of sidet has been severely limited to internal migration only; traditional areas of sidet like Humera (the meshella and seli’t farms) and Kessela (the cotton farms) are now off limits to peasants and pastoralists. (b) Seasonal manual jobs where peasants used to supplement their income are no more available; the government has either killed these jobs (ex: all construction work in Asmara) or has been exclusively using slave labor (ex: Warsai-Yikealo projects). (c) Fair-priced food markets have been rendered off limits to peasants (be it as buyers or sellers) due to myriad factors: from preference given to urban areas to inaccessibility to traditional markets. (d) And, as pointed out many times above, no food aid from foreign donors is coming in, that being the most important component of all survival strategies and the last resort in hard times like the current one. Again you can see how in each of these coping mechanisms Shaebia has made them impossible to materialize because, in their implementation, it sees a threat to its totalitarian grip. In this bizarre world of the making of the Khmer Rouge of Africa, people are neither allowed to go where the food is nor is food allowed to come in where they are simply because, in the process of doing so, the “security of the nation” would be violated or the “honor and pride” of the Supreme Leader would be sullied, or both. The end result of this power-game is: people have to starve to death to protect both! Traditional survival strategies do not come to a total breakdown in a crisis brought about by one year’s drought, however severe that may be. That means that the current famine in Eritrea has been years in the making; what we are witnessing today is the end result of years of radical experimentations – from rampant land expropriation to all kinds of monopolization and from Sawa to indefinite national service – slowly eating away at the very fabric that used to hold the society intact, now leaving it totally tattered, to a point where it has become extremely susceptible to any natural or man-made disaster. And given that the problem is more structural rather than natural, it is more than likely that famine will remain a recurrent phenomenon for years to come – as has been the case with North Korea from early 90’s up to now. The tyrant’s antagonistic relationship with NGOs is a prime example of how the tyrant’s obsession with totalitarian control and with his image as an infallible leader and as the sole benefactor of the nation keeps overriding and overshadowing any other policy in the land, including that of securing food for the nation. The issue of control is most poignant in the case of Shaebia’s tumultuous relation with NGOs because it is the least threatening to its quest for control, especially if one puts in perspective the immense benefit that the nation is set out to gain if it fulfills minimal requirements asked by the NGOs. For instance, US Aid was providing tens of millions worth of food aid – enough to cover the nation’s food deficit – every year. In 2003 alone, it provided the nation with more than 60 million dollars worth of food aid. On the year it was expelled from Eritrea, the organization was planning to spend tens of millions more on food aid alone. And all of this was done without demanding much in return. So why did the Isaias regime decide to expel it (and other NGOs)? The answer is simple: obsession with absolute control. And why doesn’t it allow them back now, at the nation’s direst hour? Again, the answer is simple: the imperial pride of Isaias is on the way. One can understand the scorched earth approach that Isaias has been taking with the people of Eritrea to ensure his grip of power. But such an approach with NGOs hardly makes sense. But it would be if one takes the paranoid nature of the Asmara regime that sees the NGOs not as providers but as competitors in every aspect that it considers as its own by birth right: competitors for the hard currency slated by donors; competitors in the way they did their job, competitors in the choice of projects to be undertaken; competitors in the population group selected to benefit from the aid; competitors for resources to be spent on those projects; competitors as job providers; competitors in the treatment of employees (especially salaries); competitors for the affection of the needy; competitors for the loyalty of the masses; etc. What remains invariant in all these turf squabbles is this: Shaebia felt it was losing control over its population. What it abhorred most is the independent way the NGOs were doing their work. For a paranoid organization that has never felt at ease with any independent entity within its own turf, this doesn’t come as a surprise. Besides the overarching need for totalitarian control that motivates the Isaias regime in whatever it does, we see two recurring themes in its antagonistic relationship with NGOs: First, Shaebia’s mercantile appetite to get its hands on whatever hard currency that enters the land meant that it had to compete not only with NGOs but also with needy people for whom the money was slated in the first place. And second, it had this irrational fear that the NGOs, by providing various services to the population, will dethrone it from being seen as the sole benefactor of its subjects. But even given this fundamental animosity towards NGOs, we cannot help but ask why the government is unwilling to reverse its decision and allow back NGOs in light of the immediacy and enormity of the catastrophe looming over the nation. That is where the detrimental role that Isaias’ pride is playing in this famine comes in: since, as part of his self reliance policy, he had already expelled all NGOs from the land twice, he believes it would be too humiliating for him to invite them back; for this cannot be done without at the same time implying, however indirect that may be, that he had been wrong in expelling them from the country in the first place. For him, even without publicly admitting the failure of his self-reliance policy, to ask for food aid now would imply that he has dismally failed in securing food for his people – a minimal requirement that any self-reliance policy should be able to meet. And since the Supreme Leader cannot be made to beg for help (God forbid!) without casting doubt on his infallibility, the masses are being asked to sacrifice – in starvation and death! – to keep the honor of their leader intact. There you have it! It is not the leader that has to swallow his pride and openly ask for food aid to save the starving masses, but it is the people that have to suffer in silence to save their leader’s honor. Only in Eritrea! Where else but in the land where the concept of “sacrifice” has been so perverted through decades of ghedli acculturation that the masses are now made to pay such a prohibitive price just to save their leader from losing face in the eyes of the world. This story is symptomatic of the workings of Shaebia. This arrogant and paranoid organization, in its lifespan of about four decades, has never admitted even a single mistake; in its “us against the world” encirclement mentality, it has been finding blame everywhere else but in itself. Isaias just happens to be the ultimate embodiment of this ghedli culture of blunder, denial and hubris. One can see the ungrateful nature of the Isaias regime if one looks at how the NGOs came to its rescue during the border war, when almost a million people were internally displaced. Despite the fact that the tyrant had expelled all NGOs from the land a year or so earlier, the NGOs responded to the call for help with a massive infusion of food, medical, clothing, water, shelter and other needs. Yet, even during those trying days, Isaias was reluctant to admit his past blunder. To the contrary, in late 2000, as help was still going on, he was defending his prior decision in expelling them and alluding that he might go back to it as the emergency condition improves; he was mumbling about some vague conditions that they had to fulfill to remain in the land. These conditions became explicit a few years later when he decided that the internal conditions had become safe enough to expel them once more. The “safe internal conditions” that Isaias had in mind had nothing to do with the improved conditions of the internally displaced; it had entirely to do with his political survival. When Isaias allowed the NGOs back, he was at his most vulnerable point: the Ethiopian army was deep inside Eritrea, there was a serious dissent among the PFDJ and there was a palpable anger among the displaced and the rest of the public. So the only time his pride gives way is when his political survival is clearly at stake; no such giving in is necessary when the survival of the starving masses is at stake. Now that the nation is under total control and the tyrant doesn’t feel any visible threat to his rule from inside, he sees no reason to call the NGOs back even though the conditions of the famine are now worse than at the time of the war. This time around, he feels so safe that he is willing to sacrifice the lives of many peasants just to save his twin images of the infallible leader that is never in the wrong and the sole benefactor in the land that provides to his people, both of which are intimately related to overall setup of the totalitarian control mechanism. Now that Shaebia’s self-reliance mambo jumbo has come to a spectacular failure, Isaias is seeking its correction at the bottom: among the helpless starving masses. Any other correction that would compromise his totalitarian grip over the population, such as giving up on his self reliance policy, is unthinkable. Nor is he going to use scarce resources to buy food or allow NGOs to work inside the country. Instead, all the corrections he has in mind have to do with manipulating the meager food resources of the peasants. 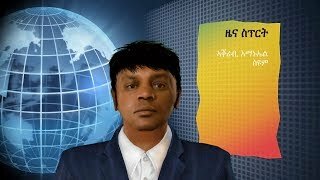 As part of this “correction”, the tyrant is now preparing the nation for a demonic triage, where population groups are being prioritized according to their “worth” to his political survival, with the PFDJ members, the army and the capital preferentially put at the top of the list in that order. Isaias feels that he cannot afford to antagonize these three groups; the first is too embedded in the structure of the government, the second too important for his defense and too dangerously armed for his safety and the third too close to the seat of the empire to be starved. He has already decided that, in the months ahead, when the food supply will certainly be depleted to unsustainable level, the party members, the army and the residents of the capital will be the first to be fed (even though many will remain underfed); the helpless peasants and pastoralists, relegated to the bottom of the list, will be left to fend off for themselves, many of whom will undoubtedly perish if the famine stretches throughout the year. The only population group that will fare worse than the peasants will be that of the prison population; the tens of thousands of prisoners languishing in the prisons and concentration camps scattered all over Eritrea, who are already subjected to severe form of malnutrition, will have the hardest time of all. The concept of “sacrifice” has now come to a full circle. What had started with the revolution as sacrifice that individuals undertake for the sake of the nation has now reached a nadir point: now, the whole nation is being asked to sacrifice itself to save the pride of one man. If that takes for hundreds of thousands of peasants to be impoverished, famished, dislodged, internally displaced, rendered refugees in neighboring countries or even dead, the perverse logic of this sacrifice sets no limit to its demand. A whole nation that has internalized this convoluted concept of sacrifice is now ready to suffer without lifting a finger in protest, with the Highdefites in Diaspora cheering the Supreme Leader in this task of saving his pride, all under that face-saving mantra of “self reliance” and the opposition, especially of the peaceful type, incoherently mumbling some esoteric ways of bringing change in Eritrea. And what a looking back! Petros wants to recreate the past – the era of ERA – and to reincarnate Shaebia in the process. It takes an astounding suspension of layers of belief to come up with such a fantasy scenario; it requires a leap of faith that is distanced from reality trice over: First, one has to believe that the Highdefite foot soldiers have an independent mind and courage to challenge the PFDJ in such an assertive and constructive way [By the way, when was the last time they did that?]. Second, one has to believe that the PFDJ/Isaias is open to such a demand [By the way, when was the last time Shaebia gave in to insiders’ or outsiders’ demand?]. And, third, one has to believe that PFDJ will allow an independent Eritrean entity (“free from the PFDJ control”) to work inside Eritrea, one that would eliminate it as a “middleman” in providing relief directly to the needy in Eritrea. What is sad about this is that this fantasy could only be entertained by someone who hasn’t given up on the PFDJ foot soldiers and on the organization itself. And the problem with that is that someone who is willing to give so much benefit of the doubt to this criminal organization, cannot be expected to fight that very organization with all he has got. And that is exactly what is ailing the opposition, of which debilitating hesitation has become its hallmark. This is what I wrote in “No Sense of Urgency among the Opposition” regarding the psychological roots of such an indecisive mentality: “… In the end then, a national cause atrophies into a personal identity crisis: they feel that they have invested so much on this idea that to let it go now is taken as tantamount to a mortal threat on their individual identity; they would do anything, even if that comes at a huge expense to the masses, not to be proved wrong on an idea that they have nurtured for so long ....” Holding on to the past requires a run-away imagination, and Petros is the least one guilty of those who indulge in such fantasy scenarios to salvage Shaebia. This unrequited love affair with ghedli has become the main deterrent from taking any meaningful measure against the regime. So far as we keep looking back to see anything we can salvage from the past, we will lose everything we have in the present. Everything that is worth salvaging is to be found in the here and now, among the culture of the people. And to preserve that, we have no option but to finish off the Isaias regime by any means necessary before it is too late. Or else the nation’s lot will be not unlike that of Lot’s wife: in looking back to salvage the legacy of ghedli, the nation will turn itself into a pillar of salt!